“Ciappa” – The Sun of Sicily at your home! 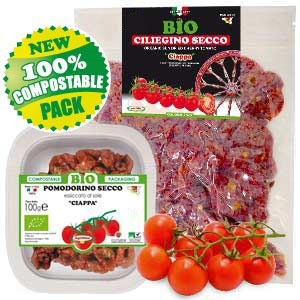 Sun dried tomatoes, only dried at the sun of Sicily as the tradition require. Agriblea firm is situated in the so-called Val di Noto, only 2 kilometers far away from Ispica, the ancient Hyspicaefundus, on a lightly sloping hill, about 150 meters above the sea level. Cities like Noto, Pachino, Modica and Scicli are about 15 minutes away, as well as the sea (8 kilometers only). The region has been recognized cultural heritage by UNESCO since it is very rich in archaeological, liberty and baroque witnesses. 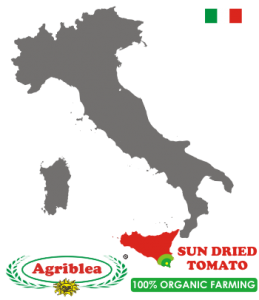 Agriblea firm was born thanks to the love for the country and the stubbornness belonged by its owner, Giorgio Agosta, whom everybody knows simply as Gino. 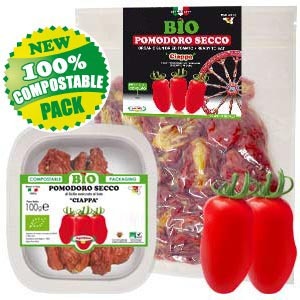 A delicious Sicilian organic sun-dried tomato, packed in a fine, elegant and totally compostable bag. 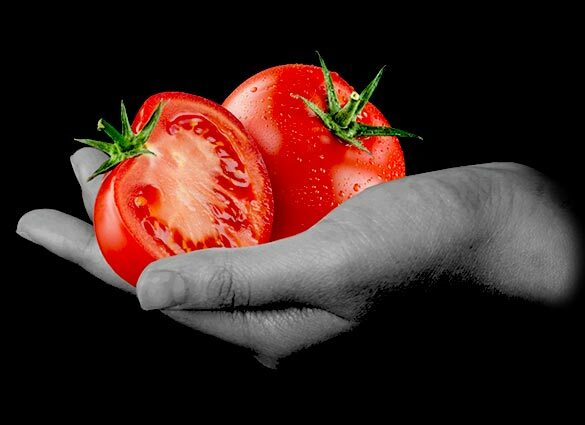 When the Sicilian culinary creativity meets the modern technology a new cleaner and tastier world is born. Our work is guided by the respect for our children’s future, the nature, the love of the universe, the passion for good food. 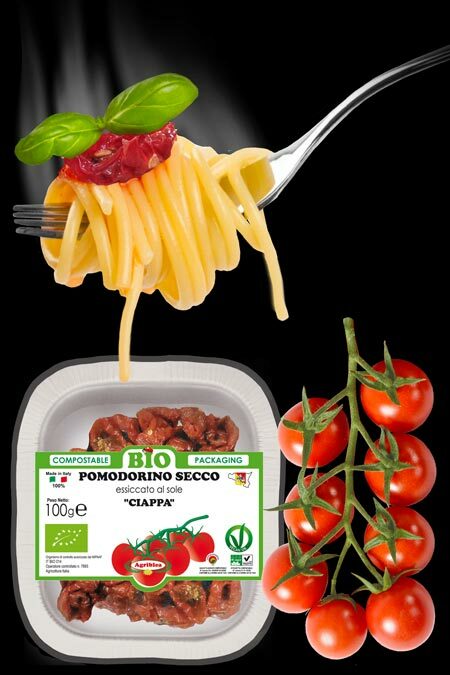 the “Ciappa ri pummaroru” (sun dried tomatoes), that is to say a sun dried half oval or round or cherry tomato. How to eat dried tomatoes? 2 – Season with extra virgin olive oil, oregano (and / or flavorings according to personal taste) and add the dried tomatoes. 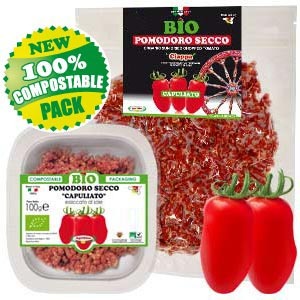 Recipes with the 100% Organic Sun dried tomatoes cooked in many different and original ways. Recipes created by the Chefs and Food bloggers who collaborate with Agriblea.